This fully illustrated publication accompanied the exhibition Arturo Herrera: Les Noces (The Wedding), organized by the Americas Society, which explored the intricate relationship between abstraction, animation, modern dance, and music. 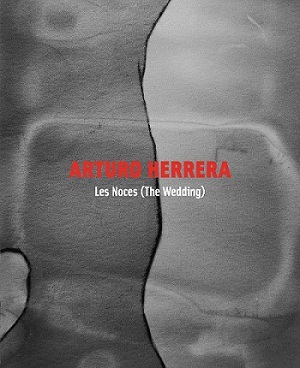 The exhibition introduced Herrera’s groundbreaking installation Les Noces, the artist’s first work to incorporate music and moving images to New York audiences. Internationally renowned for his explorations of a variety media, including collage, photography, prints, sculpture, and video, Herrera’s practice is deeply informed by the history of modernist abstraction. Les Noces is a two-channel digital projection based on the 1923 ballet performed by Sergei Diaghilev's Ballet Russes and scored by Igor Stravinsky. The artist digitally reworked fragments of his artwork to create a dance of abstract black and white images set to Stravinsky's music. Arturo Herrera: Les Noces (The Wedding) features essays by Nuit Banai (Visual and Critical Studies Professor at Tufts University); Lynn Garafalo (Professor of History of Dance, Columbia University); and Gabriela Rangel (Director of Visual Arts and Chief Curator at Americas Society); as well as an interview with Arturo Herrera, Christopher Newton (Dancer, Royal Ballet), and Dame Monica Mason (Director, London Royal Ballet).